Measurelet has invented a technological toilet, which can measure the amount of urine and faeces excreted, directly updating a patient’s medical records. The solution will optimize an otherwise very time-consuming process continually performed in hospitals. Fifteen percent of hospitalized patients are monitored for fluid balance, where the amount of ingested fluid and excreted urine and faeces are measured over several days. This is a manual and time-consuming procedure of 16 steps, which can take a nurse over 9 minutes for each toilet visit. The measurement is subject to significant human errors and associated with great discomfort for both patients and nurses. 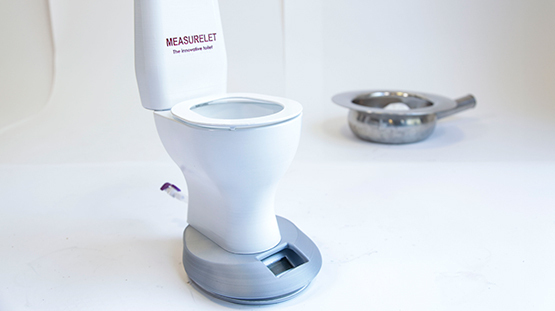 The new concept developed by Measurelet will be able to take measurements of excreted material in a hygienic and cost-effective manner, without the use of traditional bed pans and scales. 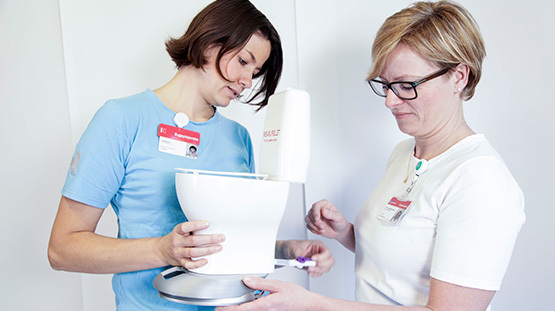 The two nurses behind Measurelet, Marie L. Bagger and Louise Bangsgaard, have invented a technological toilet specifically for the healthcare sector. It can automatically measure the amount of urine and faeces and insert the data directly into a patient’s electronic medical records. “Our aim is not just to improve and automate the procedure for nurses and reduce the costs for hospital administrations, but also make the whole process more comfortable for patients” explains Bagger. “As nurses we see on a daily basis how embarrassing the current method is”. It is projected that in the future there will be a lack of healthcare professionals in Den - mark and other countries, which together with an aging population requiring more care, will necessitate increasing levels of automation in the nursing profession. The Measurelet toilet is a product that can release many nursing hours and it will therefore be interesting not just in hospitals, but also in nursing homes, etc. Prevas have been selected by Measurelet as their technology partner, bringing many years of automation and sensor experience to the project. To date this work has concentrated on the R&D required to accurately differentiate and measure the excreted products. A first technology demonstrator has already been constructed in record time, with plans are now underway to rapidly commercialise this research into a fully functioning product that can go to field trial.